This will be the third year for this rally. This is urban camping, a unique experience. The purpose of this type of rally is not only for us to have fun but to benefit the community. Hence there are no meals included in the rally but there are a number of outstanding restaurants and cafes to patronize. Our trailers (without tow vehicles) line Main Street in this picturesque town. There is 15amp electric supplied by outlets on the street poles. 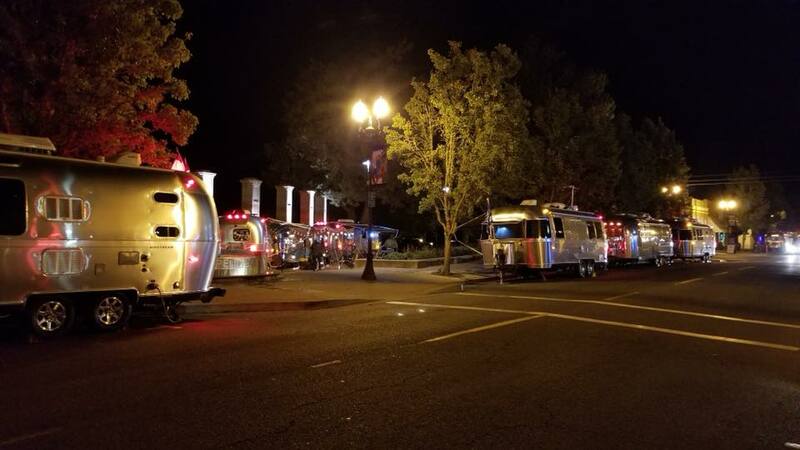 The rally fee covers the cost of port-a-potties brought in for both us campers and the general public that come to view them as well as a healthy donation to the city’s downtown development office. There is an open house on Saturday from 10 to 2 for the public to come by and view the trailers. 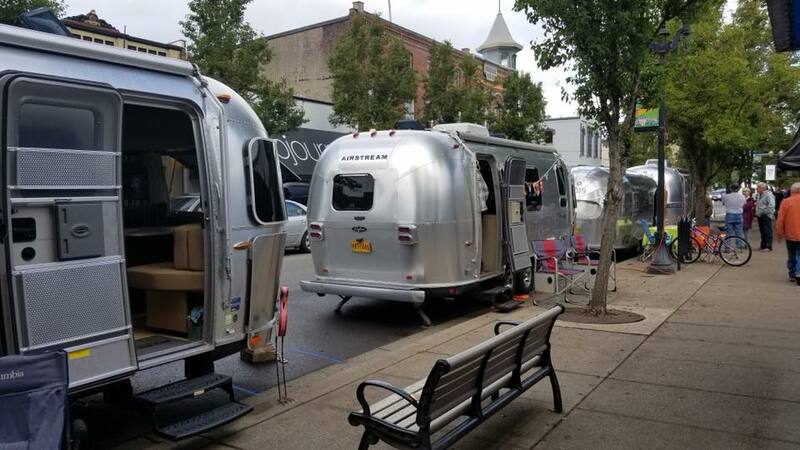 Be prepared for a ton of questions about the Airstream life.